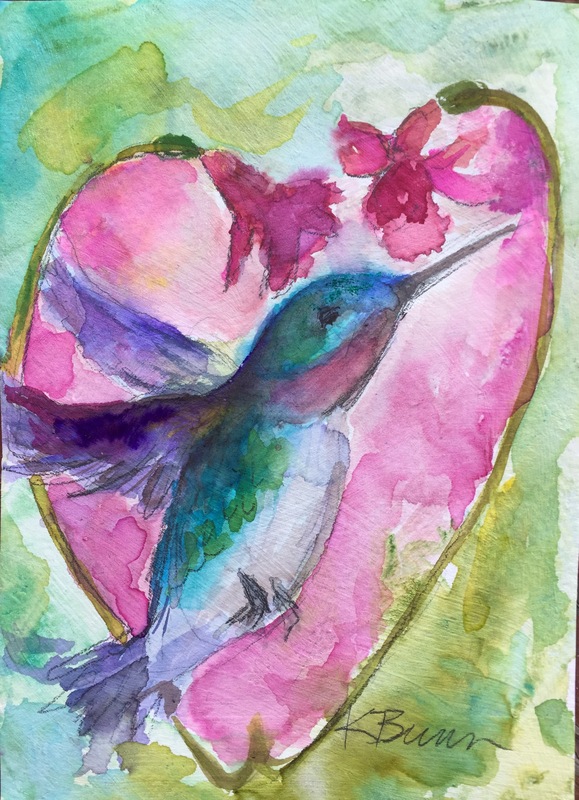 Revisiting watercolor, my first favorite art medium. 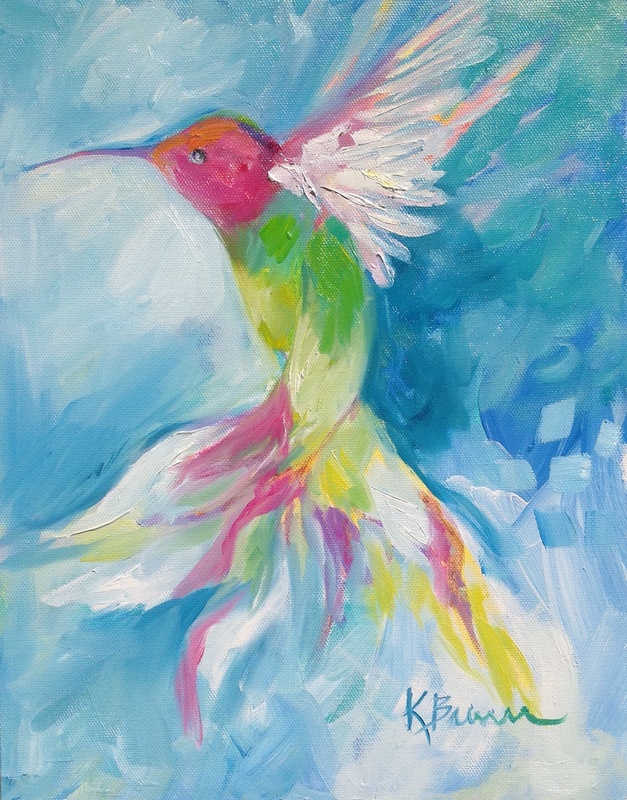 Watercolor begs to freely flow and not be tamed. Perhaps you have a Valentine like that? 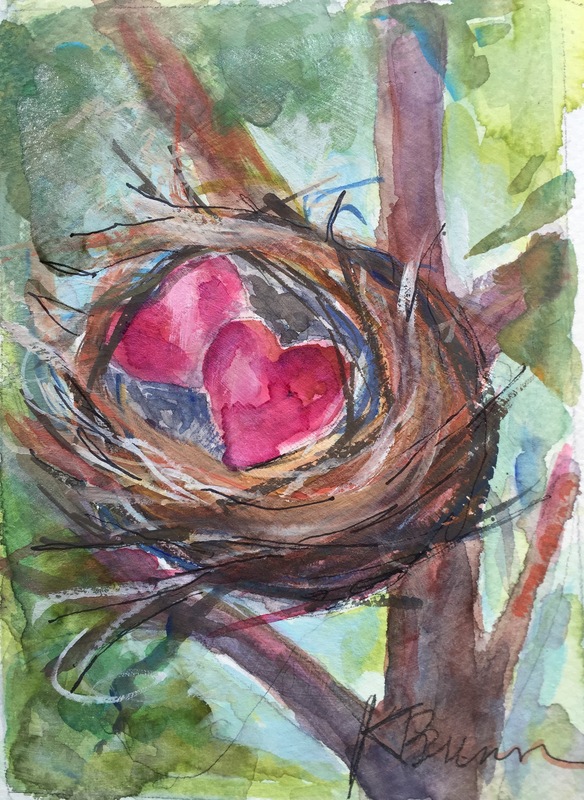 “Nesting Hearts” and “Love Flight” are both 5×7 framed pieces. 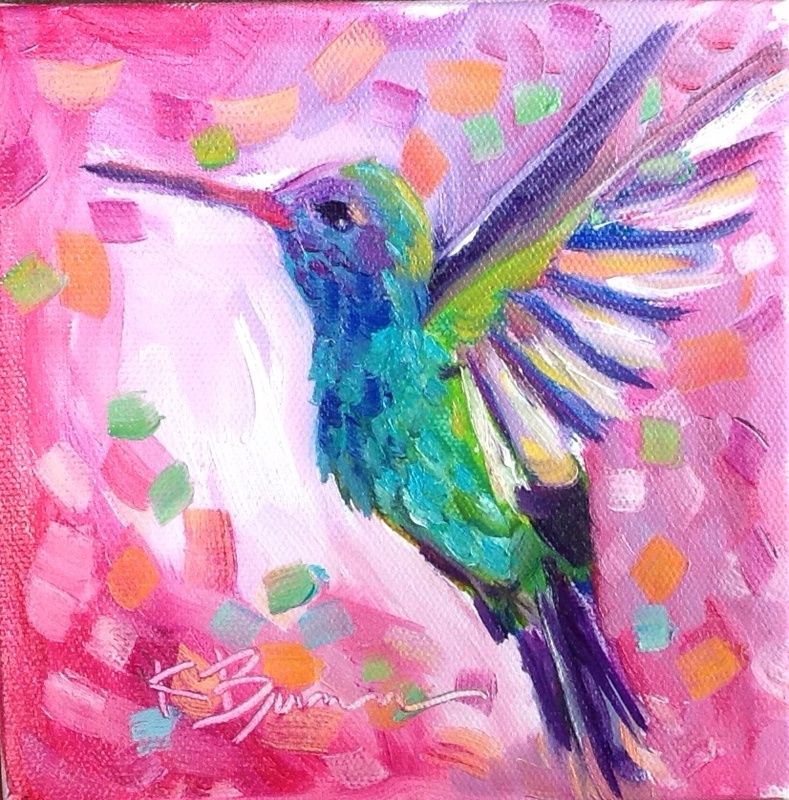 “Jewel is my sixth piece in the painting challenge. All of my subjects come from suggestions from Facebook friends, if you have a suggestion you may also post yours on my blog. Thank you for looking and happy weekend. Thanks for taking your time to look at my blog. 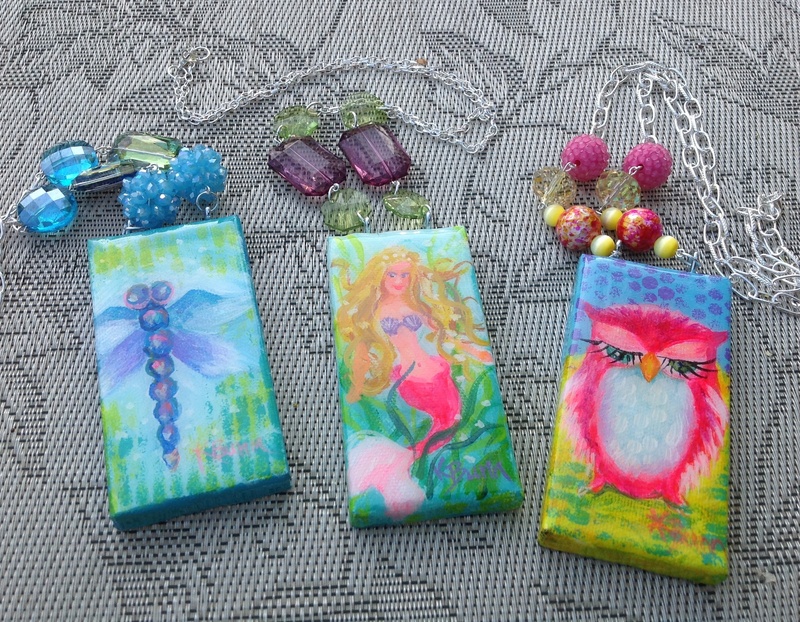 I would like to share with you six hand-painted mini-canvases on 30″ chains. 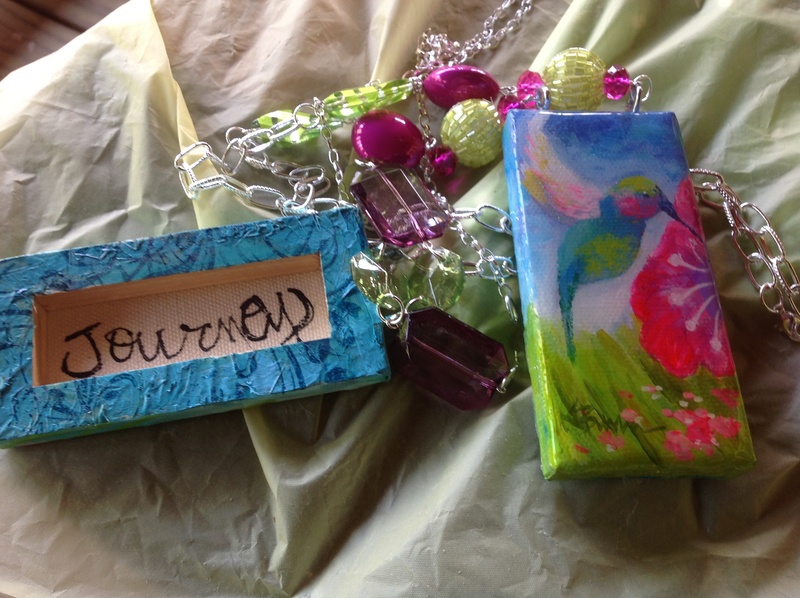 My friend Faye is quite the expert jewelry designer– thanks friend for your good eye and taking your time to match each painted canvas with the perfect colored beads. My hubby got in the action too- he mixed and poured the sealing epoxy that adds a beautiful shine to each one. 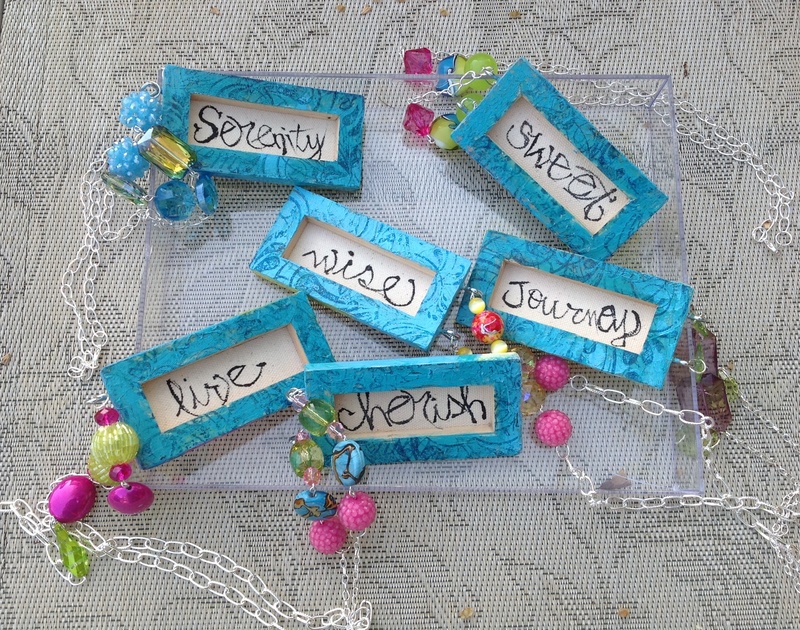 The last part of the hand painted jewelry was to decorate the backs–so I painted, stamped and wrote a special word on each one. 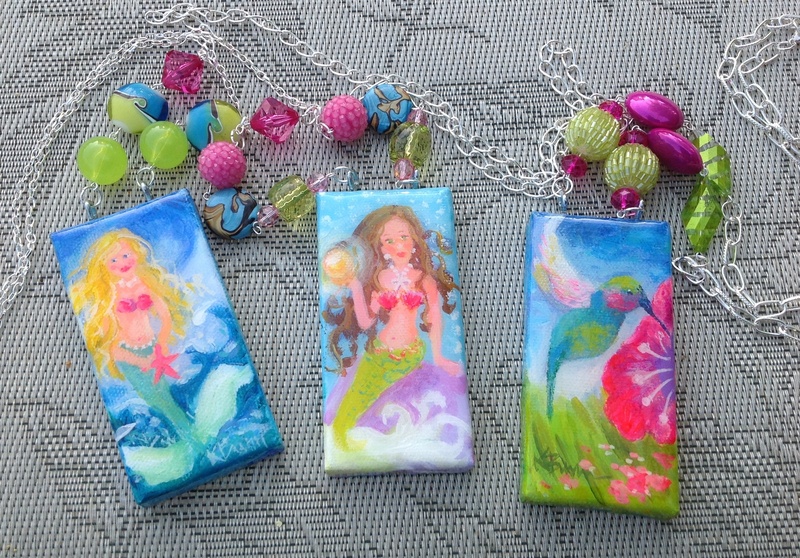 No two necklaces are alike…. truly special treasures! 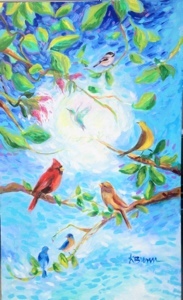 “Happy Place” was painted for my sister-in-law Debbie. Debbie wanted something “happy” for her office. I hope this painting makes her workday go more by cheerfully.